The Assemblies of God is about people, people experiencing the presence, power, and purpose of God in their lives. Some 30 million people, from all walks of life and races, worship in Assemblies of God churches around the world. Young and old, married and single, parents and children, they have one thing in common: a desire to know and please God and share His blessings with still other people. The Assemblies of God is people who believe in the God of the Bible and believe He is working in today's world. The three-fold mission of our church explains what we're all about: evangelism (to those who don't know God); discipleship (every Christian systematically growing as a follower of Jesus Christ); and worship to God. 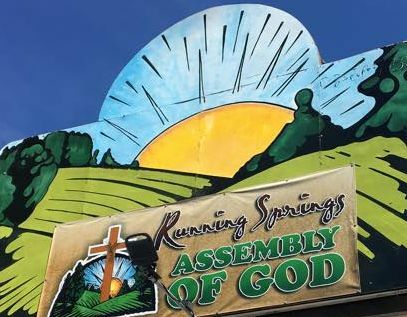 When visiting the San Bernardino Mountains, we invite you to worship with us at Running Springs Assembly of God Church. Our mission is to worship the three-in-one God in the freedom of the Holy Spirit; to study the Bible on which we base our faith; to evangelize our community so they know that this is a place they can come to encounter God; to support missionaries who are spreading the good news of Jesus Christ to the world; and to fellowship with other believers, building one another’s faith and holding one another accountable. 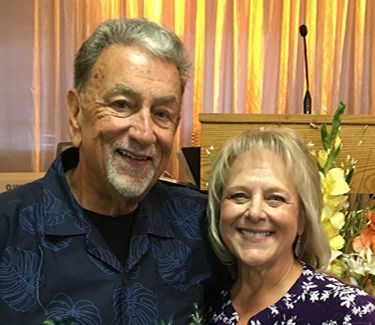 Pastor Gerry and his wife, Karen, invite you to worship with us. Join our happy Church family. Want to get in touch with the Pastor or learn more about our church?